Right now, one of the most significant trends is the rise of robotics across all elements of the enterprise, transforming the way business is done. The implications will impact enterprises beyond what many of us can comprehend today. 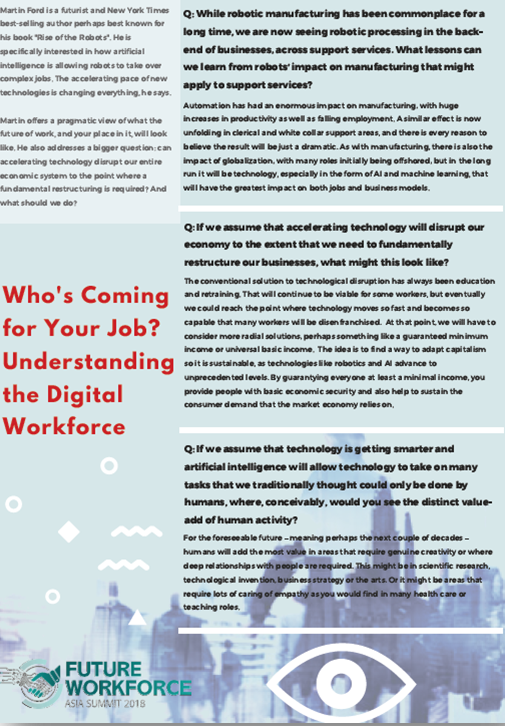 We spoke to Martin Ford, a futurist and New York Times best-selling author, who offered a pragmatic view of what the future of work, and your place in it, will look like. He also addresses a bigger question: can accelerating technology disrupt our entire economic system to the point where a fundamental restructuring is required? And what should we do?